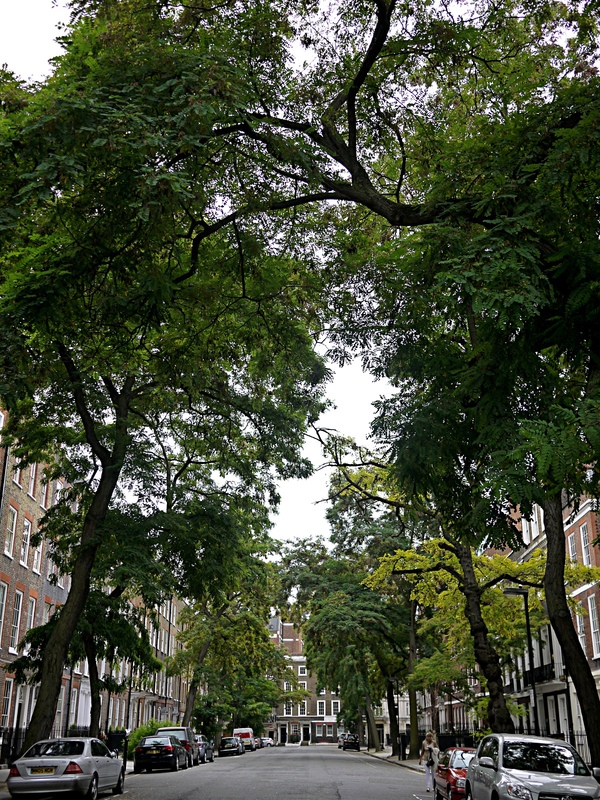 Bedford Row is a very handsome eighteenth century London street, in some ways more handsome than it’s Bloomsbury neighbours north of the Theobald’s Road divide. It is wider than Great James Street and softer than Doughty Street, it is lined largely by fine Georgian terraces, (the exception being a post-war infill half way up on the western side), now mostly law firms and esoteric consultancy businesses. The Row’s charm is helped in no small measure by being lined with mature feathery-leaved Robinias. These North American trees take on interesting and characterful shapes as they grow older and the Bedford Row specimens have become reminiscent of those familar and quitessentially English trees rendered by Constable or Gainsborough. From a distance they might be mistaken for Elms, a half-remembered image still burned in the English consciousness despite the ravages of Dutch Elm Disease laying waste to the species way back in the early 1970s. 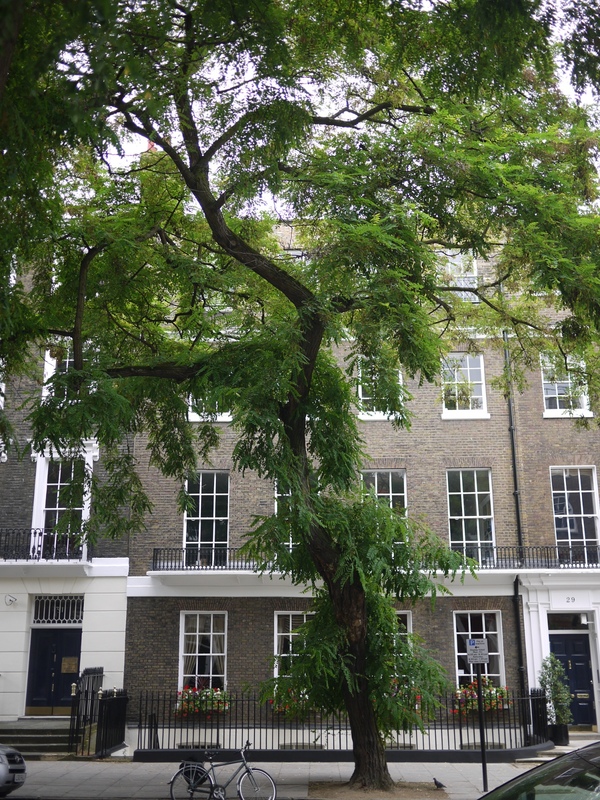 This is my second Robinia post in only three days – read about the Golden Robinia of Barnsbury.